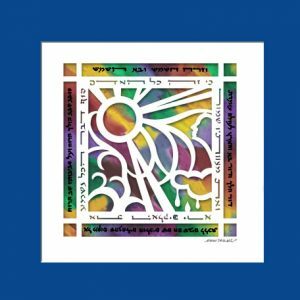 Categories: Bar and Bat Mitzva Gifts, Jewish Children's Gifts. 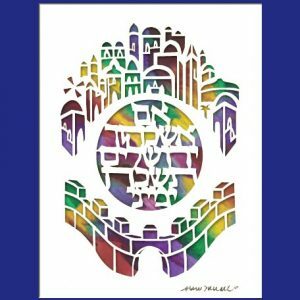 Tags: Baby Gift, bar mitzvah gift, Bat Mitzvah Gift, Hear O Israel, I am Thankful, Jewish Papercut, Judaica Gift, Marci Wiesel, Modeh Ani, Shema Yisrael. One of the times we recite Shema Yisrael is just before going to sleep at night, and we recite the Modeh Ani just as we awaken in the morning. 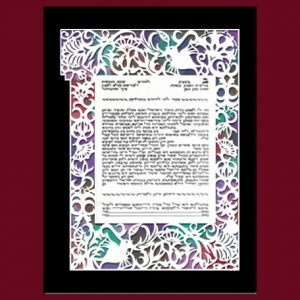 Help a child in your life to remember to say these beautiful prayers with a papercut Judaica gift. 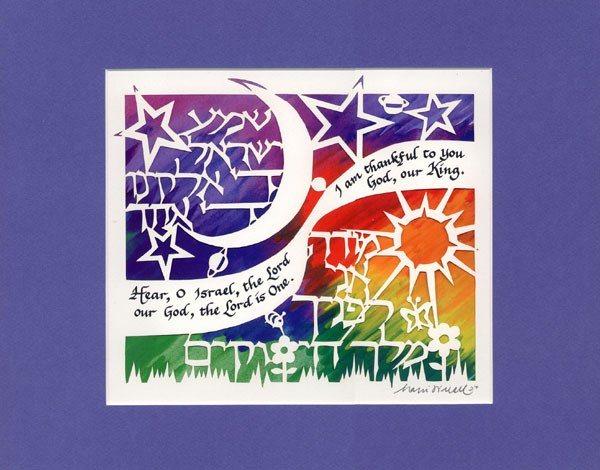 This bright and cheerful artwork by Marci Wiesel will brighten up any room. 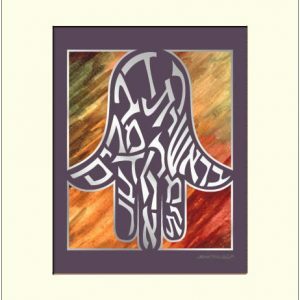 It makes the perfect baby gift, bar mitzvah gift or bat mitzvah gift.